We’ve all been there. A late night/early morning in Berlin when we’re looking for something – anything – of sustenance to balance our stomachs before throwing in the towel and calling it. 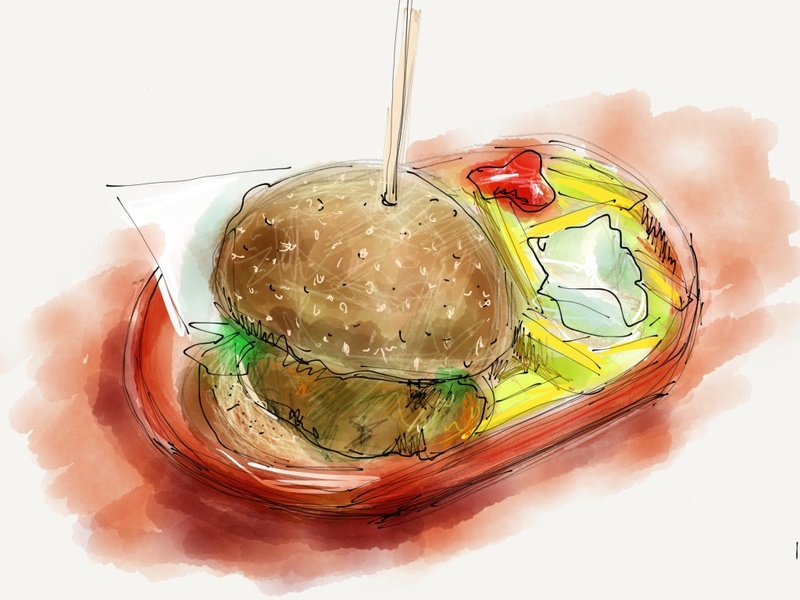 A number of times that bit of sustenance happens to be the dreaded chicken burger – a food item that is widely available in Berlin, but seldom done right. What seems to be a brilliant idea at the time quickly turns into a belly full of regret, as we wolf down the last bits of our fastfood snack as our red-lined eyelids are unwelcomely met by the rising sun. What if I told you there is a chicken burger in Berlin that is not only NOT a poor life decision, but actually something you want to wake up and seek out the next day. Australians Jordi Greig and Julian Boyce have thrown their hat into the Berlin burger ring with Piri‘s Chicken. They’ve taken the typical boring and tasteless chicken burger that we’re accustomed to in the German capital city, turning the chicken burger from a late night mistake into a post-hangover treat. Inspired by the Piri Piri sauce of Portugal, their rendition of the chicken burger is a much needed spicy reprieve from the typical conservative flavors typically found in Germany. For those of you familiar with the taste of (well-prepared) chicken wings, this will be a familiar and welcoming culinary journey. The egg and the mayonnaise are a fine compliment to the fried chicken and fiery sauce, creating an ideal balance for your palette. Not only did we the W8H crew have the privilege of indulging in these succulent burgers, we also had the opportunity to sit down with Jordi. Check out the interview below to learn more about Piri‘s Chicken! You come from Australia so how come you ended up in Berlin? Julian and I have known each other since high school and first came to Berlin together in 2006 for the FIFA World Cup, where we almost instantly fell in love with the atmosphere and character of the place. After the event finished, we both travelled around Europe for a while before Julian chose to settle in Berlin and I ended up spending the next few years living in London and Barcelona, before eventually moving to Berlin in the autumn of 2011. Both of us have European passports that allow us to forge our lives over here, and despite the weather and the lack of beaches we both prefer the Berlin lifestyle to that in our home town of Sydney. Can you tell a bit about Australian cuisine? Do you have a special Australian dish or food you miss? What’s the deal with Vegemite? Well, despite having a few iconic foods like Vegemite, Australia doesn’t really have it’s own recognised national cuisine per se. Some Aussies may disagree with that, citing their desire for an occasional Kangaroo steak as proof of our own culinary identity, but most of us tend to eat food that is either derived from our British colonial heritage, or because we have such a diverse multicultural society, we are also blessed to have some of the finest quality food from all around the world at our disposal, particularly Asian food due to our close proximity. We definitely miss the standard of Asian food from back home, as well as the quality of seafood, and of course the numerous barbecues that you never have to go far to find in the summer. Here in Berlin, both of us always have Vegemite on hand thanks to friends and family that bring or send it over if we can’t find it here, but unless you grew up with it you probably wouldn’t like the taste of it or understand the attraction. It is strange stuff! How did Piri‘s Chicken begin in Berlin? You cite Portugal and its Piri–Piri Sauce as inspiration – did a particular trip to the country get the entrepreneurial juices flowing? While our concept is new to Berlin, back home in Sydney there are a number of extremely popular Portuguese chicken burger chains that rank right up there on the list of both Julian and my favourite fast foods. While the flavours come from Portugal, we’ve both travelled there and could not find these burgers anywhere, which has led us to conclude that these types of burgers were forged in Sydney within the large Portugese community present there. The idea to bring the concept to Berlin came about a couple of years ago, when Julian and I both realised that the only way we were going to be able to satisfy our cravings for these things was if we started producing them ourselves. At the end of last year we started getting more serious about it, and while we were looking for a permanent place we were lucky enough to land a couple of street-food gigs, firstly at one of The Prince Charles’ successful “Burgers & Hip-Hop” events, then later at the St Patrick’s Day Parade, and on both occasions we recieved a lot of positive and useful feedback. In May we opened our shop on Weinerstr. in Kreuzberg, and we haven’t looked back. Why did you choose burgers as your flagship item as opposed to a more traditional piri dish? Well, as mentioned above, where we come from the burgers are a big part of what we associate with Piri–Piri chicken. Of course we also love the traditional char-grilled & flattened Portuguese Piri–Piri chicken as well, and we are certainly not ruling out experimenting with that further down the line, but for the moment we are busy focusing on getting our burgers out there for the public to enjoy as much as we do. You’re entering a highly competitive Berlin burger market – has it been difficult? Are you worried about competition? We always knew that we were entering a highly competitive market, which is why from the outset we strived to offer something a little different to what you can get at most other burger shops in Berlin. Berliners generally do not associate anything positive with the idea of a chicken burger, which they really can’t be blamed for when you look at the token crusty processed chicken patty, lettuce, tomato and ketchup creations that are available to them throughout the city. Just getting them to change these preconceptions has proven to be an ongoing challenge, but thankfully those that have been willing to give our chicken burgers a try have quite often told us they were pleasently surprised by what they had just eaten. For those that still can’t get their heads around the fact that chicken in a burger can actually be really tasty, we also offer a cheese-steak and a tofu variation which are both beginning to get their own cult followings. We are not particularly worried about the competition because we know our concept offers something different from what the other places around us are doing and we believe that our product is solid enough to hopefully one day get us on the map of Berlin’s finest burger institutions. That’s the goal anyway. Why do you think burgers are so popular in Berlin anyway? Burgers are popular everywhere throughout the Western world for all the obvious reasons, they’re quick, cheap, and often really tasty! They also provide a great hangover cure, which is possibly why they are especially so popular in Berlin! What’s the best burger you had? I’ve had a lot of outstanding burgers in my time, but the best for me has always been and probably always will be the Works burger made by the little old Greek lady in the corner store up the road from my parent’s house in Sydney’s inner west. Just the thought of that freshly ground mince, with crispy lettuce, tomato, cheddar, pineapple, beetroot, bacon and egg on a glazed bun makes me salivate, and I always manage to eat at least 3 of them a week whenever I’m back home! Other than your amazing burgers, what have been some of your best Berlin food discoveries? Berlin thankfully has many great restaurants and food markets to visit, but it makes it hard to narrow it down to just a few favourite places! We frequently visit Long March Canteen in Kreuzberg for our dumpling fix, La Pecora Nera in Neukolln for delicious rustic Italian food, and Henne in Kreuzberg for the best friedchicken in the universe, to name just a few local places. Anything on offer at Bite Club is usually really tasty as well. If a customer would ask you to remove/add something to the burger would you do it? Of course, we take customer service very seriously and are always willing to cater for people’s special needs and preferences. We have catered for vegan, lactose intolerant, gluton intolerant & chilli intolerent customers in the past, if you have a special requirement then all you have to do is ask! Who are your favorite types of customers? Those who try all of our burgers, love them, write nice reviews about them, then keep coming come back! What does the future hold for Piri‘s Chicken? Piri‘s is here to stay. Our goal is to franchise out into other parts of the city, but for now we are busy concentrating on building up a steady stream of regular clientele for our shop on Wienerstr. before the cold winter months set in. We are also looking to get back into catering regularly at street-food events and festivals, and are always open to offers if anybody feels the need to acquire our services. Lastly, what’s better Rugby or Australian rules football? Do you miss your local sports and culture? In Sydney, Rugby trumps Aussie Rules every time, so it’s no contest really! We still manage to catch our favourite teams on TV, even if sometimes we have to tune in at ungodly hours, but certainly we miss going to live Rugby and cricket matches, especially this year when there has been a mini revival for sport in our home State of New South Wales, where we just keep winning everything! Both Julian and I play cricket here in Berlin in the summer, so we can still get a taste of our local sports culture even on this side of the world, but we definitely still do sometimes wish we didn’t have to miss some of the big events in the sports calander back home. Next Post Pizza is where “Da Michele” is.